The one stop shop for Aerial, Video production and Digital Marketing in Northern Ireland. Want to find out how we can get you more customers or promote your business to a wide audience through video? Arrange for a FREE consultation to discuss how we can work together to promote your business better. After our initial chat we will sit down and draw up a plan on when to take the footage, how to promote the video best and how much it will cost. Aerial capabilities of up to 5.2k and a wide range of cameras capable of recording to 4k. Post production will take place and then we will meet up again to go through and make final changes. Stand out from your competition with an innovative promotional video. Big Windmill Promotions stands out from the competition as we are the one stop shop for your digital marketing and video production requirements. No need for various agencies, one team who work in synergy to offer an affordable solution to promote your business or organisation and use the latest digital methods to reach as many people as possible for less than traditional marketing techniques. We cover all of Northern & Southern Ireland. When it comes to aerial photography/videos we hold a CAA PfCO (Permission for Commercial Operations) and insurance cover of up to £1,000,000 for aerial and standard video production services. We are one of a few in Northern Ireland to have a DJI Inspire 2 which is capable of capturing video up to 5.2K quality (cinematic quality). Big Windmill Promotions also has permission for night operations, meaning we are one of the few in Northern Ireland that can offer aerial footage during sunrise, sunset or during the night. When it comes to being back on the ground we have a range of cameras capable of recording up to 4K and an excellent way of getting your message across by using a creative approach to video production. Our video services are perfect for promoting your business in a better way than a traditional commercial We offer this to a wide range of industries, including the tourism attraction, B&B, events, selling of your home, product demonstrations and crowdfunding campaigns. Although our focus is on aerial video and photography, we have the understanding to use specialist sensors to conduct various surveys. We can create a mosaic picture of an inspection, either roof or other infrastructure to meet your requirements. We can also produce this as a 3D PDF allowing you a manual orientation of the inspection area without specialist software! Agricultural surveying has taken a leap into the drone world, and we can conduct surveys to show crop information such as health, form, height, volumes and ground conditions. With over 13 years’ experience designing websites and working with small to medium sized businesses we have come up with a winning formula for user friendly web design, SEO optimisation and the digital marketing techniques that work the best. 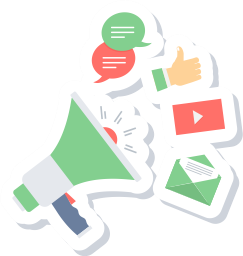 Big Windmill Promotions specialises in website user experience/design, organic search engine optimisation, PPC management, google remarketing, social media marketing and content planning. Andrew Carleton who is in charge of the digital marketing side of Big Windmill Promotions is about to complete a CIM in Professional Marketing and has been a member of the Chartered Institute of Marketing for the last 2 years, therefore keeping up to date with the latest digital marketing techniques. At Big Windmill Promotions, we focus on real value for money. Whether you are a Small to Medium business, or a large corporation you get the same professional, reliable service. With Aerial and Videography packages starting from £250, and SEO/Digital marketing from as little as £199 per month. Don’t delay, either view our great packages or get in touch.